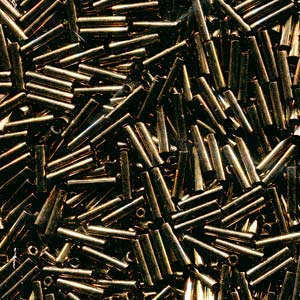 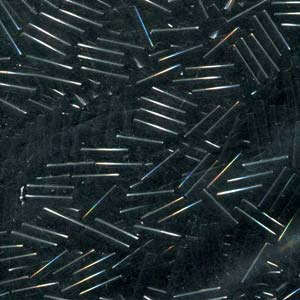 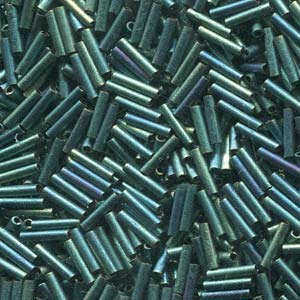 Bugle Beads are small narrow tubes of cut glass. 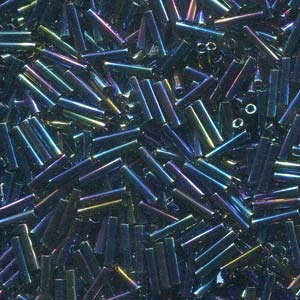 They are used in bead embroidery, bead weaving or on beaded fringes for costumes, lampshades and clothing. 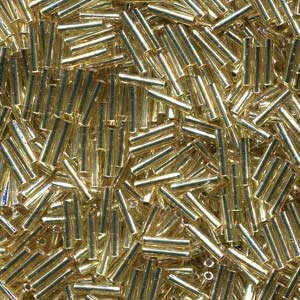 They can be threaded into items of jewellery or glued to fabric for decoration.